SMi-Group's 4th annual UAV Technology will convene in London on the 30th September and 1st of October 2019. SMi is delighted to announce the 4th UAV Technology conference convening on the 30th of September and 1st of October 2019 in London, United Kingdom. Now in its 4th year, UAV Technology is shifting from its previous Central and Eastern European focus to a more global approach by moving to London, with an overarching theme of providing a tactical edge to the warfighter through unmanned capabilities. UAS now more than ever play a pivotal role as a tactical and operational tool for ISTAR, C4ISR, CAS, and other functionalities in the joint operational environment. SMi's UAV Technology conference will examine the latest technological developments, trends, and strategies within UAS capability development and acquisition. Bringing together a community of experts, planners, programme managers, and operational personnel to share information and strengthen relationships, this forum reflects the growing need for military and industry alike to come together in order to achieve higher levels of interoperability and greater capabilities. Join this growing community of expert planners and operators to help further high-level discussion on the future of unmanned systems in the joint environment. View details Leonardo Sponsors and Exhibitors http://www.leonardocompany.com Leonardo is a world player in Helicopters, Aeronautics, Electronics, Defence & Security Systems. From advanced components to fully integrated systems and platforms, Leonardo masters the full cycle of development of rotary and fixed wing platforms and of sensors and effectors to deliver a full range of proprietary solutions and managed services. With field-proven tactical fixed wing and rotary wing UAS, optionally piloted helicopters, a complete range of sensors, Leonardo is at the forefront of autonomous flight. 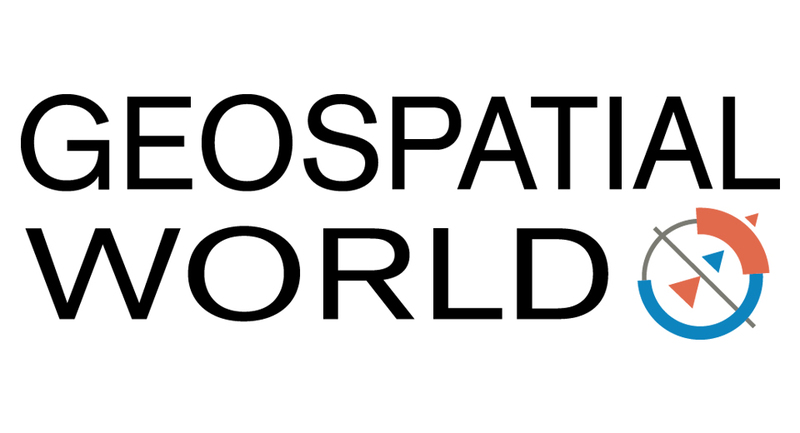 View details Geospatial World Supporting Media Partners https://www.geospatialworld.net/ Geospatial World is the most recognizable voice of geospatial community. Our website has more than 1,25,000 visitors per month from more than 150 countries. We also have 60,000+ active social media followers. Our subscriber base is growing at a rapid pace and an uncompromising focus on quality content and providing new technology insights has always been our utmost priority. All readers have to do is go on the top of our website and click on the specific page of their choice. They get content of their interest instead of wasting time on searches. We also bring out a bi-monthly magazine by the same name. You may take a look at some of the older editions here. View details Drone Nodes Supporters http://www.dronenodes.com Drone Nodes is online communication platform that brings together experts in drone research, start-ups, business, and education from across the globe.Through our website, you'll read up on the technology we're following both through professional as well as recreational means. It's quite an exciting market to watch over much as the personal computer has been in the past century! View details Hispaviación Supporters http://www.hispaviacionrpas.com Hispaviación is an aeronautical online journal focused on technical and specialized contents. Contents created by our editorial team get together with those written by aviation industry professionals, such as COMMERCIAL, MILITARY, RPAs and SPACE industries, also including aircraft operators; MROs and service providers; manufacturers; military; purchasing departments; and public operators and institutions. View details My Dear Drone Supporters https://mydeardrone.com/ Are you a UAV Fan? 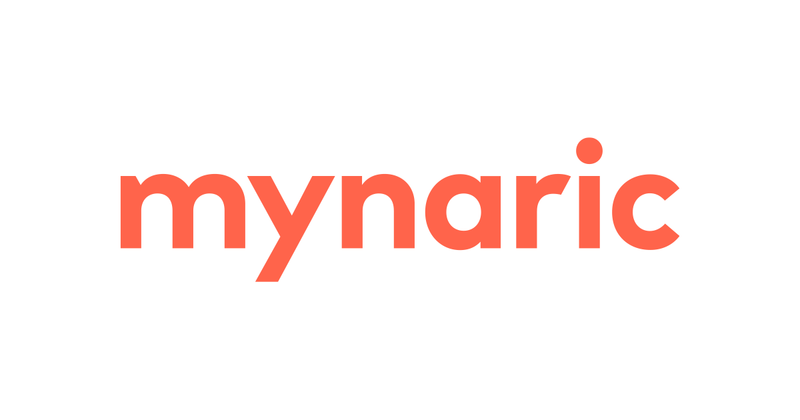 MyDearDrone is perfect for you because it's a free, original and best community to learn everything from news, reviews, guides and much more about drone and it's technology. So come and experience the Quadcopter (UAV) world with us. View details Robotics Tomorrow Supporters http://www.RoboticsTomorrow.com. RoboticsTomorrow.com is an Online Trade Magazine featuring Products, Companies, News, Articles and Events for the Industrial Automation, Robotics and Unmanned Vehicle industries. With an emphasis on the state of the art and on the horizon technologies that have strong prospects of commercialization, our philosophy is to create an outlet where the industry can share information and report on itself. View details The UAV Digest Supporters http://www.theuavdigest.com/ The UAV Digest is a weekly audio program devoted to unmanned aerial vehicles and systems. Each episode features a discussion of the latest industry developments and trends for both commercial and recreational uses of drones: •	Regulatory developments •	Research and development activity •	Drone technology advancements •	Emerging applications for unmanned aircraft •	Integration into the manned airspace The UAV Digest examines the expanding applications for UAS, including: precision agriculture, photography and videography, structure inspection, search and rescue, first response, law enforcement, package delivery, mapping and surveying, oil and gas, and many others. The UAV Digest is targeted to an international audience of: •	Commercial drone operators •	Entrepreneurs looking to enter the industry •	Serious UAV enthusiasts •	Educators and students •	Aircraft, component, and software suppliers •	Manned aircraft pilots •	Builders and hobbyists •	Other stakeholders in this growing industry The UAV Digest thirty-minute, on-demand podcast made its debut in 2013, and was created by David Vanderhoof and Max Flight from the popular and highly regarded Airplane Geeks podcast. To listen, visit theUAVdigest.com, or subscribe in iTunes, Google Play, or through your iOS or Android podcast app. 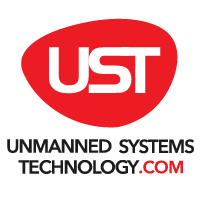 View details Unmanned Systems Technology (UST) Supporters http://www.unmannedsystemstechnology.com/mag/ Unmanned Systems Technology (UST) magazine focuses entirely on the innovative engineering that's successfully pushing boundaries on land, in the air, at sea and even throughout the universe. UST is brought to you by High Power Media (HPM) - a specialist engineering technology publisher. The HPM team are behind the globally renowned Race Engine Technology (RET) magazine - a high quality, in depth print review of contemporary racing powertrain technology. RET is widely read, referred to and sought after by its dedicated readership of design and development engineers. UST is unique - the first ever publication to focus entirely on providing independent coverage of the engineering at the heart of unmanned vehicles. It applies the same rigorous scientific approach to this brave new world as RET brought to the subject of racing powertrain technology. Published bi-monthly, UST probes today's cutting edge projects to provide in-depth research insights - rigorous investigation is backed by professional peer review and critical analysis. How will UAV Technology 2019 differ from a trade show? Leonardo is a world player in Helicopters, Aeronautics, Electronics, Defence & Security Systems. From advanced components to fully integrated systems and platforms, Leonardo masters the full cycle of development of rotary and fixed wing platforms and of sensors and effectors to deliver a full range of proprietary solutions and managed services. With field-proven tactical fixed wing and rotary wing UAS, optionally piloted helicopters, a complete range of sensors, Leonardo is at the forefront of autonomous flight. Geospatial World is the most recognizable voice of geospatial community. Our website has more than 1,25,000 visitors per month from more than 150 countries. We also have 60,000+ active social media followers. Our subscriber base is growing at a rapid pace and an uncompromising focus on quality content and providing new technology insights has always been our utmost priority. All readers have to do is go on the top of our website and click on the specific page of their choice. They get content of their interest instead of wasting time on searches. We also bring out a bi-monthly magazine by the same name. You may take a look at some of the older editions here. 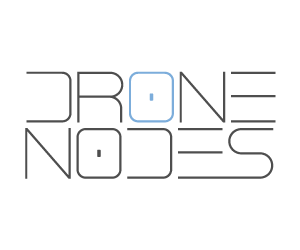 Drone Nodes is online communication platform that brings together experts in drone research, start-ups, business, and education from across the globe.Through our website, you'll read up on the technology we're following both through professional as well as recreational means. It's quite an exciting market to watch over much as the personal computer has been in the past century! The UAV Digest is a weekly audio program devoted to unmanned aerial vehicles and systems. Each episode features a discussion of the latest industry developments and trends for both commercial and recreational uses of drones: •	Regulatory developments •	Research and development activity •	Drone technology advancements •	Emerging applications for unmanned aircraft •	Integration into the manned airspace The UAV Digest examines the expanding applications for UAS, including: precision agriculture, photography and videography, structure inspection, search and rescue, first response, law enforcement, package delivery, mapping and surveying, oil and gas, and many others. The UAV Digest is targeted to an international audience of: •	Commercial drone operators •	Entrepreneurs looking to enter the industry •	Serious UAV enthusiasts •	Educators and students •	Aircraft, component, and software suppliers •	Manned aircraft pilots •	Builders and hobbyists •	Other stakeholders in this growing industry The UAV Digest thirty-minute, on-demand podcast made its debut in 2013, and was created by David Vanderhoof and Max Flight from the popular and highly regarded Airplane Geeks podcast. To listen, visit theUAVdigest.com, or subscribe in iTunes, Google Play, or through your iOS or Android podcast app. Hispaviación is an aeronautical online journal focused on technical and specialized contents. Contents created by our editorial team get together with those written by aviation industry professionals, such as COMMERCIAL, MILITARY, RPAs and SPACE industries, also including aircraft operators; MROs and service providers; manufacturers; military; purchasing departments; and public operators and institutions.